The holiday season is here which means it is time to spruce up the fun with some fashionable twist to the innumerable parties and festivities. 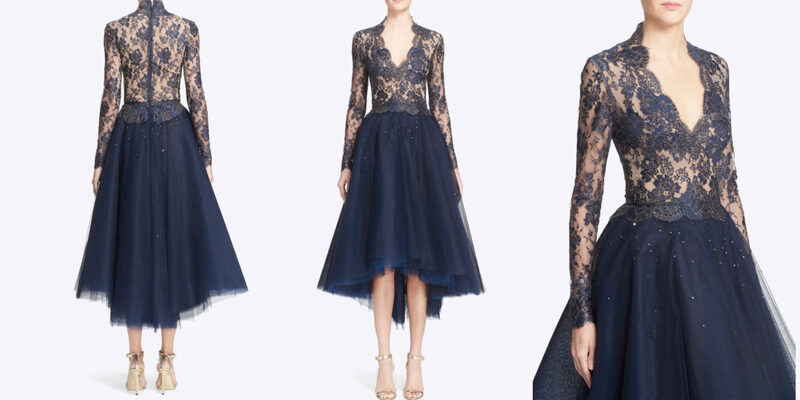 If you are looking to shop for a dress that will add a perfect finishing touch to the special nights, these below mentioned 10 cocktail dresses will serve the best inspiration. This wool and silk blend off shoulder dress by J.Mendel features a gorgeous drape fit with a paneled design that is beautifully complemented with a tea-length party dress. The contrasting silk crepe defines and accentuates the off-shoulder dress creating a slimming Empire-waist silhouette. 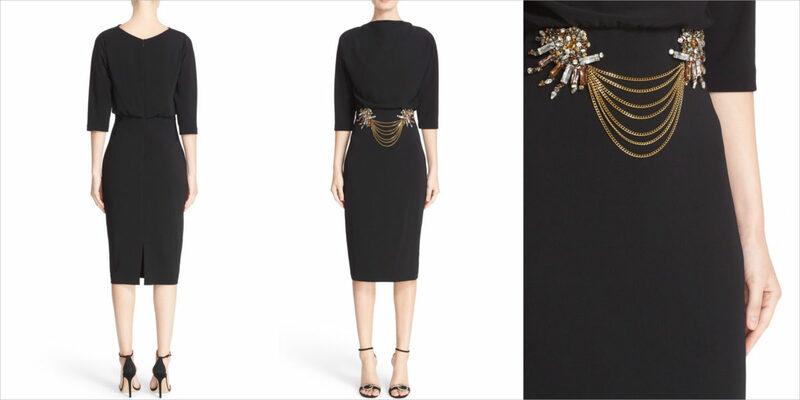 The jewels and chain embellishment at the waist accentuate the slender waist and transform the look of the simple black stretch jersey dress. The high front neckline is neatly decked and the bodice carries a blouse feel matching the slim style below-knee skirt. 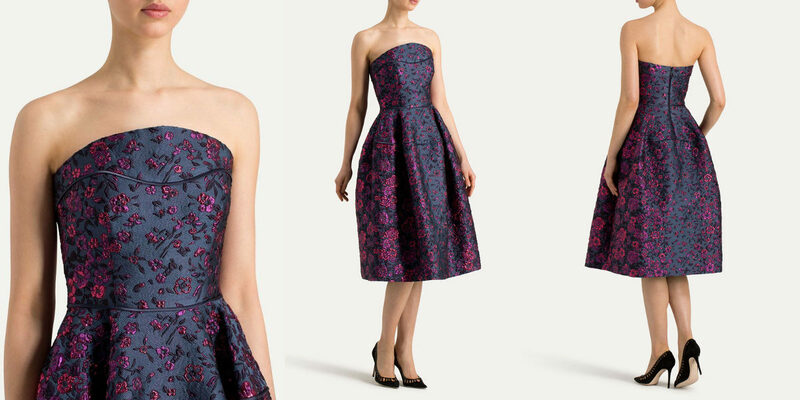 An eye-grabbing party dress flaunts a shimmering brocade with a floral tapestry of jewel tones over deep violet-blue. Satin piping details the strapless bustier and the tea-length skirt. 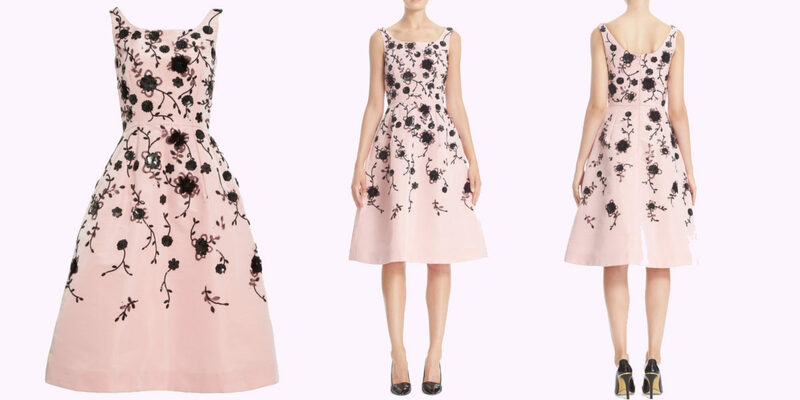 This stretch knit dress by Alexander McQueen is designed with flowering vines climbing the fitted short sleeve bodice and the scrolling full skirt. The Victorian influence is well complemented with the red and black combination. Barely there straps and plunging illusion neckline extend the feminine appeal of the two-way zipper dress. The tailored crepe sheath further flaunts the figure. The charming pansy print of this luminous cocktail dress features floral appliqués smartly drifted across the lacy top. The high neckline and the luxurious pleats balance the look of the bell skirt. This plunging neckline silk jersey dress by Valentino features a flowy silhouette with elegant weight and drape. The deeply plunging neckline and fluttering sleeves fall to a cape-like conclusion in the back providing added coverage to balance the dramatic shape of the dress. Providing a touch of timeless elegance and appeal, this enchanting evening dress is fashioned from Chantilly lace at the long sleeve bodice and several layers of flared tulle in the form of A-line skirt. Metallic embroidery, gilded sequins bring a starry night shimmer to the inky blue style. In a bodycon fit, the sparkling paillettes sheath dress features a jewel neck with a dazzling gleam. 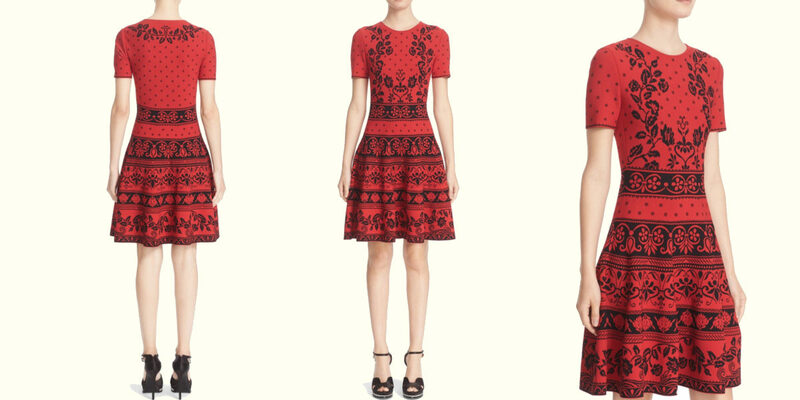 The long sleeves and below the knee hemline accentuate the lean elegant profile. This exquisite cocktail dress by Oscar de la Renta features a silk-faille vining with intricately stitched organza and sequined flowers. The darts above and below the waist define the bodice and the pockets on the voluminous skirt provide a playful chic finish. Pick the preferred fabulous piece of dress and make this festive celebration extra special.